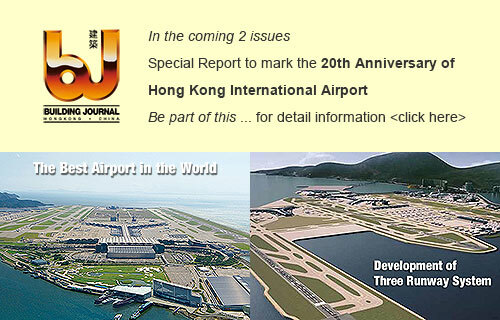 The four towers include a headquarters office tower and three leasable office buildings. Orientation of the buildings take full advantage of the site and surroundings. 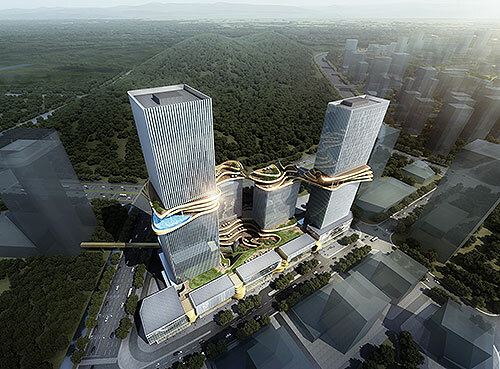 The two taller grade-A office towers occupy the southeast and northeast corners of the site, standing at road intersections with better land values and views. The retail podium sits along the main road, and there are a central atrium plaza and an outdoor amphitheatre. 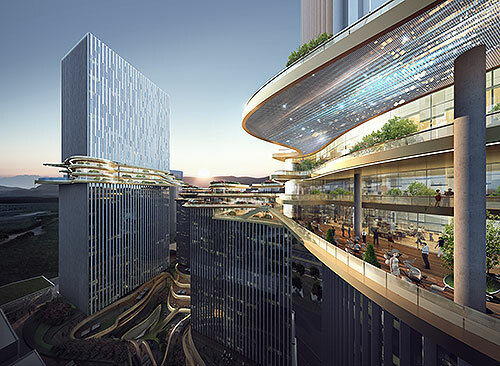 Extensive greening can be found in the northwest corner and together with the landscaped plaza and roof garden which creates a three-dimensional vertical landscape for the future central business district.